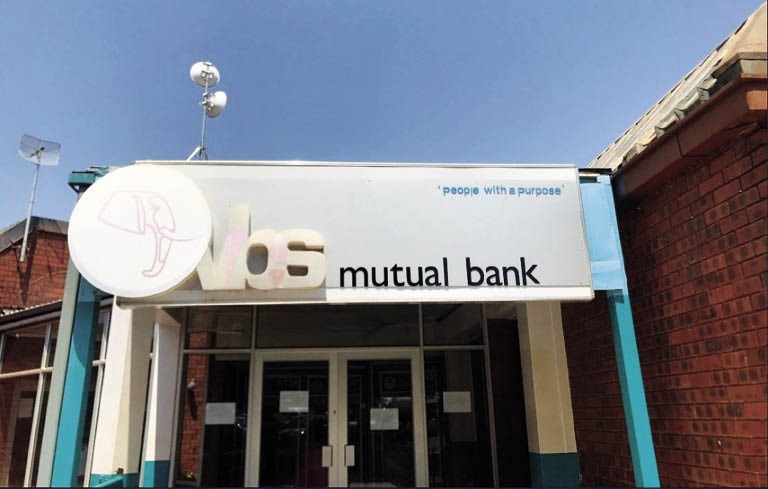 Almost R50 million that was transferred from a North West municipality account appears to have taken a detour on its to way to the controversial VBS Mutual Bank. Records seen by City Press show that Dr Ruth Segomotsi Mompati District Municipality transferred a total of R150 million to VBS earlier this year, but only R101 million is reflected as having been invested with the beleaguered bank by the Vryburg-based municipality. City Press has seen two proof of payment documents showing that the municipality made the first transfer of R100 million from its FNB account on February 16 and transferred another R50 million on March 1. However, the SA Reserve Bank-commissioned report into VBS’s failure, titled The Great Bank Heist, made reference to the municipality investing only R101 million. At least three sources who are senior officials in the municipality said the investment was made in a hurry. They corroborated one another’s versions that former chief financial officer Segomotso Phatudi was allegedly ordered by municipal manager Jerry Mononela to withdraw R100 million from Standard Bank and transfer it to VBS. According to the same sources, the R100 million that was invested with Standard was withdrawn less than a month after it was deposited and supposedly placed into the VBS account. The decision is believed to have been influenced by VBS’s offer of 9.25% interest on R100 million invested for over six months. City Press has seen a string of emails between Phatudi and Mononela, in which the latter was giving instructions for money to be invested with VBS. In one email, dated February 28, Mononela wrote: “On second thoughts [sic] transfer the entire money from the building fund (R21 million) and then take the rest from MIG [the municipal infrastructure grant]. This was just over a week after the R100 million had been transferred to VBS. While records show that the additional R50 million was transferred to VBS in accordance with Mononela’s instruction, records from the troubled bank reflect something different - R101m. So, what happened to the other R49 million? This is what the municipality is expected to answer when it appears before the provincial legislature’s standing committee on public accounts (Scopa). Scopa chairperson Mahlakeng Mahlakeng said: “We cannot question the VBS report because, clearly, the municipality invested R101 million. "What we need now is for the municipality to tell us what happened to the R49 million, and we will be calling them to come and account soon. “The municipality has already been to Scopa and were on record confirming the VBS report finding that they invested R101m. Mononela did not respond to questions sent to him by City Press. He also did not take calls and ignored SMSes sent to him. Municipal spokesperson Orapeleng Matshediso told City Press that he had forwarded the questions to Mononela and other senior municipal officers. Communications head Joseph Motlhasedi confirmed the questions were forwarded to him, but said that he was on leave and could not respond. Meanwhile, Premier Job Mokgoro’s spokesperson Vuyisile Ngesi confirmed their records showed that the municipality had invested R150 million with VBS. Mokgoro has commissioned a forensic investigation into municipalities that invested with VBS. four municipalities, and the extent to which such municipalities have complied with the law,” Ngesi said. The investment made by the Dr Ruth Segomotsi Mompati District Municipality earlier this year was not the first – former municipal manager Zebo Tshetlho had invested R60 million and allegedly reaped the benefits thereof last year. How deep do you think the VBS debacle runs? SMS us on 35697 using the keyword DETOUR and tell us what you think. Please include your name and province.